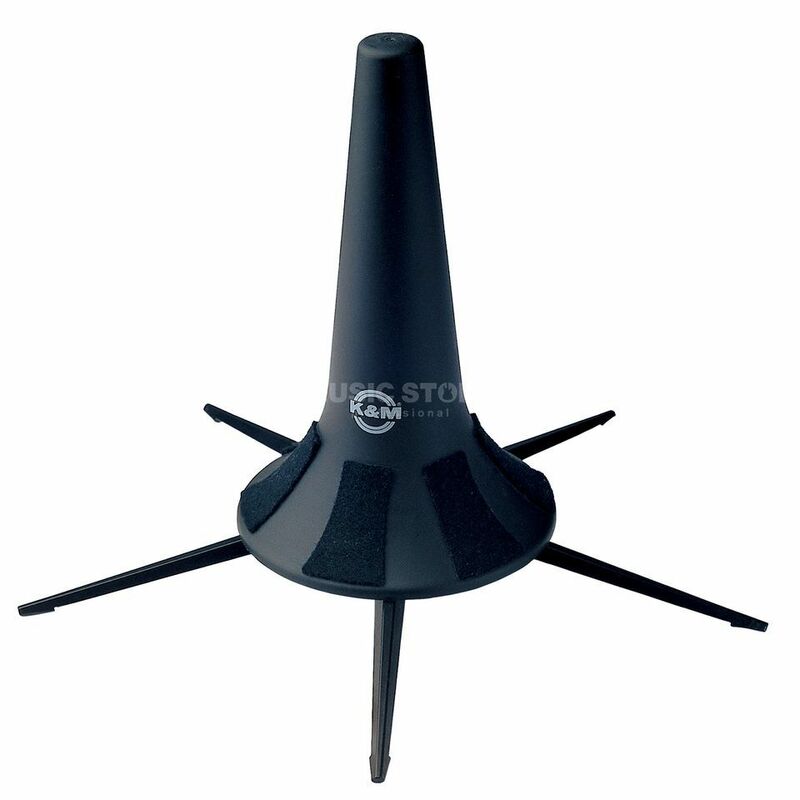 The K&M 15240 Flugelhorn Stand, Black is a black flugelhorn stand, with a 5-foot base for added stability, with felt-covered contact patches, and is collapsible for easy transportation. The 5-leg base provides maximum stability for the instrument. The detachable metal leg base screws into the peg so that the entire unit can be stored in the bell of the instrument for easy transport. The black plastic peg is covered with felt pads to protect the instrument.